Guided by the Dixon Advisory Investment Committee, Nadine Florenini provides tailored advice on portfolio solutions to help her clients achieve their personal, investment and lifestyle goals. Nadine brings a wealth of knowledge to client investment discussions, having gained significant experience in roles spanning both Macquarie Equities and Bell Potter. Nadine says that Dixon Advisory clients benefit from a long term investment approach focused on client centric outcomes. She likes that this approach has the oversight of a very experienced investment committee who place the best interests of the client at the forefront of all considerations. “The Investment Committee takes a top down global macroeconomic approach to investment selection. This differentiates Dixon Advisory from other firms and gives me as an adviser access to a wide range of opportunities to structure portfolios to achieve the best outcomes for clients. The Investment Committee also ensures that I have the appropriate support when identifying solutions for clients outside of the Australian marketplace,” she says. Nadine enjoys building lasting relationships with clients and works hard to put them in a better financial position. She watches trends and movements in global markets closely and focuses on strategies to reduce the downside exposure within clients’ portfolios, constantly striving to simplify the investment strategy process so the pathway to meeting the clients objectives are as clear and transparent as possible. Dixon Advisory clients benefit from Nadine’s steadfast attention to detail, along with her disciplined approach to research, advice and investing. Nadine has a Bachelor of Arts, majoring in Economics and Philosophy from Monash University and an Advanced Diploma of Financial Planning from Kaplan Professional Australia. 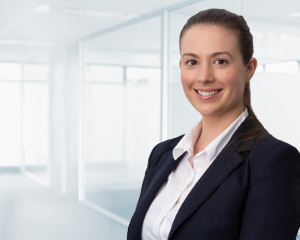 Nadine has also successfully completed her Regulatory Guide 146 accreditation through the Stockbrokers Association of Australia Securities & Managed Investments and the Tier 1 Derivatives course from Kaplan Professional.